Description: The intersection of Hollywood Blvd. 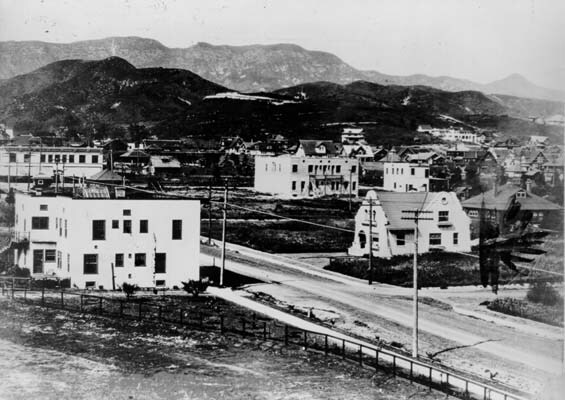 and Highland in Hollywood, with residences, in 1907. Location of the present Hollywood and Highland complex, and center of Hollywood tourism. Credit: Courtesy of the Los Angeles Public Library Photo Collection—. This page was last modified on 20 April 2017, at 22:54.